Get ready to fall in love-love! 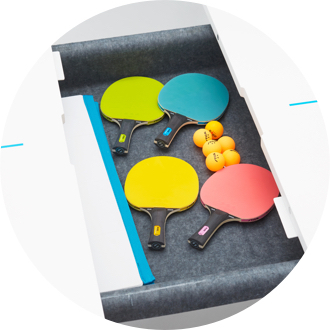 Our Ping-Pong Conference Table now assembles totally tool-free, making it easier than ever to get your game on. 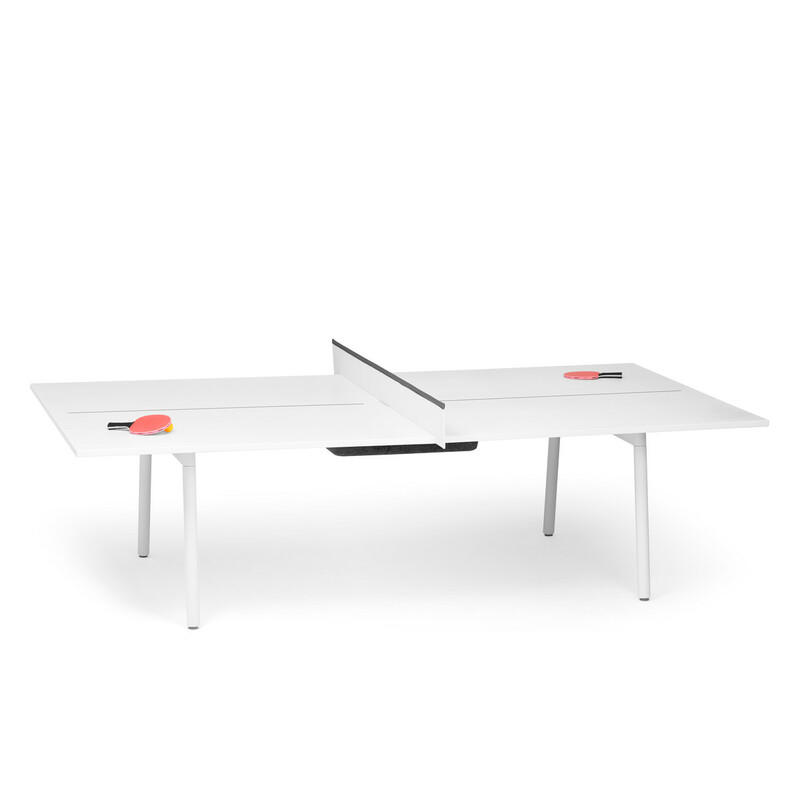 Playing doubles-duty as a conference table and ping-pong fun center, our Ping-Pong Conference Table goes from conferring to conquering in under 45 seconds so you can get your game on.  The Series A Ping-Pong Conference Table ships in 5 boxes with a total weight of 381 lbs. 1 Leg Frame Box: 53"L x 32"D x 5.5"H, 60 lbs. 1 Beam Box: 96"L x 6.5"D x 4.5"H, 35 lbs. 1 Accessory Box: 34"L x 26"D x 6"H, 16 lbs. Wipe clean with soap, water and a soft cloth. Dry immediately and thoroughly. Use a Scuff Removing Eraser to remove stubborn scuffs from the metal frame. 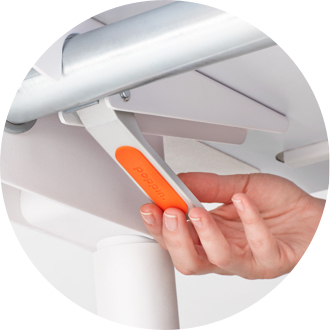 Our patent-pending Clever Lever makes building a snap. Includes net, 4 Stiga® ping-pong paddles and 6 Stiga® ping-pong balls. 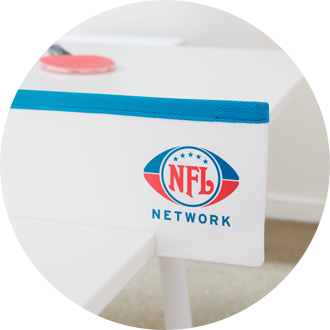 Brand your Ping-Pong Table with your company's logo, mission, or message.